The U.S. Department of Labor’s Occupational Safety and Health Administration announced a proposal for a new rule which would increase safety in construction sites. The proposal regards the duty of employers to ensure that crane operators are qualified to operate the machinery. The proposal also provides clarity for certification requirements of crane operator safety. The categories of certification would change to allow more operators to meet the new requirements. The kinds of certification programs for crane operators would be expanded. In 2010 a requirement was made, but never put into effect, that certification for crane operation include the lifting capacity certification of the operator. This requirement would be removed based upon OSHA’s proposal. Voice your opinion regarding expectations and requirements for crane operator safety qualifications. If you are interested in commenting on the proposed rule for crane operator safety, you may submit your comment electronically or by mail. Details for submission can be found here. Submit comments by June 20, 2018. An extension for compliance with crane operator safety certification has been made for November 10, 2018. 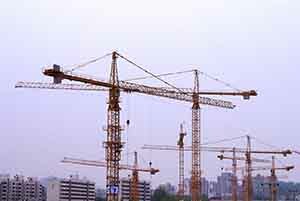 OSHA hopes that this will provide sufficient time to complete the rule-making regarding concerns for cranes and derricks use in construction. Worker safety in construction is top priority. The rule-making process is taken seriously. OSHA seeks to end the risk to injury by outlining clear credentials for equipment operators in the construction industry. OSHA assumes the role of ensuring that employers are responsible for providing safe and healthful workplaces for employees. OSHA works to ensure these conditions for American workers by setting and enforcing standards, providing training, and assistance. If you are unsure about the quality of training you have received for yourself or your employees, visit our quick and easy Construction Courses Online, where you can pick up your OSHA Wallet Card training in only two days! Here you will get a wealth of training options and courses that are designed to meet your requirements at an affordable cost. For more information about our online courses, give us a call toll free at 866-265-5813.